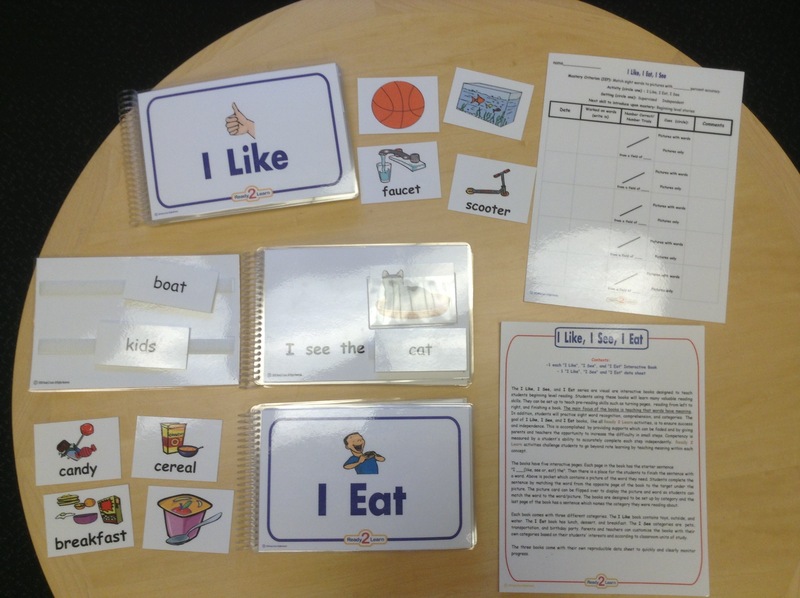 This kit contains a series of visual interactive books designed to teach beginning level reading. The main focus is to teach that words have meaning. This kit includes 3 booklets (I See, I Like, I Eat). It also includes 1 data sheet and 1 direction sheet along with matching cards. This entry was posted in Learning Aids, Our Library and tagged Autism Spectrum Disorder, comprehension, literacy, Reading, Ready2Learn. Bookmark the permalink.